I grew up with scents. I remember when I was a little girl and we'd all be getting ready to go out; i'd head to my parents' room when I heard the sound of someone spraying something - by this time, the room door would be open - and raise up my hands for either of my parents to spray my underarms with perfume. It was usually my Dad though as he'd spray his underarms, behind his ears, his neck, his body, his clothes, his handkerchief, lol, infact everywhere with perfume. That's how I spray deodorants now though. It's ingrained in my DNA now but instead of spraying everywhere with actual perfumes which can stain and destroy my jewellery, I do that with deodorants and before I put on my clothes too. So you'd be correct to say I have a long standing relationship with scents as my love for them has gone far beyond just perfumes to everything perfumed. This is my first encounter with a Lancome perfume here in Nigeria and it is wonderful, let's just say I was unconsciously aware of the fact that I could be surprised and this perfume brought that consciousness to life. What the brand says: Every 100 years there is an encounter between two stars that are irresistibly attracted to each other until they collide. The impact generates the treasured black diamond. 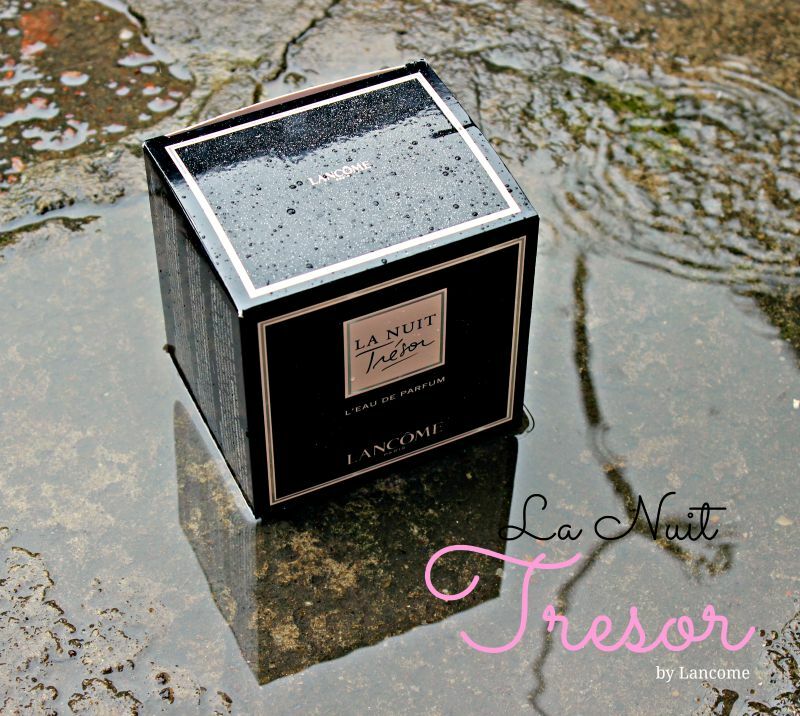 La Nuit Tresor is the Black Diamond of Lancome. THE NOTES: The Black Rose; symbol of absolute love, and the Vanilla Tahitensis Orchid; perfumery’s very own secret gem, combine with the sharpest green notes to create La Nuit Trésor’s alluring character that is reminiscent of an electric night.This gourmand fragrance is for women that believe in the modern love story. Love at first sight. The spellbound kiss.A night spent under the stars.THE FLACON: Like a radiant, scintillating gemstone, the art of the bottle is created with 2 star colors. The mystery of the Black meets the delicacy of the Pink, giving contrast and tension to the new vision of love expressed by Lancome, the Love of the 21st Century. Having recently become a perfume connoisseur and knowledgeable of notes, I must confess that the notes of this perfume had me confused at first. All I knew was that it was a hint of spicy fruits at first but settled into a grown-up spicy fragrance that instantly made you want to put on a bare shoulder dress and sway your hips. Now I know that the raspberry top note gives it the fruity first scent and the Incense in the middle note gives it that grown-up spice. I love the black rose ribbon at the neck of the flacon. This gives it a somewhat classy feel especially as bows are fast becoming relics. I don't know if I've said it before but the Lancome branding on their products while very visible is always so classy, you can forgive it, lol. The diamond shaped flacon means that the perfume is to be placed on its side thereby emphasizing this shape. I love this mirror reflection I was able to achieve in a mini puddle. Can bae use it? No, because it is unrepentantly feminine. Lancome scores high points with this new introduction to the Tresor family. Use lightly on pulse points for a lingering fragrance that isn't cloying at all and you'll get compliments all day long.